A million dollars will not buy much in Australia’s overpriced housing market. In Sydney, the largest Australian city of around 5 million people, house prices were up 20% over the past year. 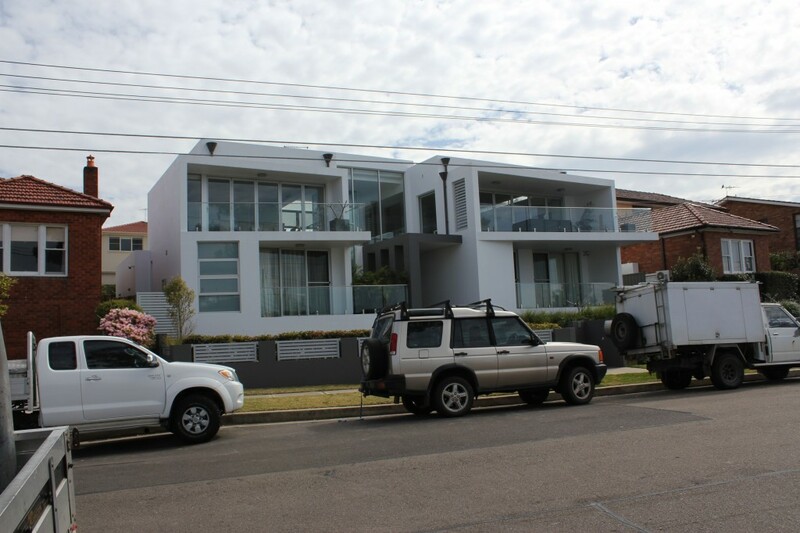 Here’s a look at what one million or so will buy in Sydney. Newtown is an inner city suburb about 4 kilometres from the CBD. It was once working class, but not anymore. The median house price is $1.2M [all prices in AUD; at the time of writing AUD1.00=USD0.69]. For that you will get something similar to one of the terrace houses below. These are very small, usually with no yard or parking. Thus rubbish bins are tastefully stored by the front door. Parking is difficult. It was hard to find a house to photograph that was not obscured by cars. Prices in more popular, adjoining suburbs are even higher for similar houses . Such as a median price of $1.3M in Surry Hills and $1.6M in Paddington. Moving further afield, Newington, 18 kilometres by road from the CBD, housed around 15,000 athletes during the 2000 Olympics. It was “repurposed “ to standard housing. Small terrace houses, as shown below, have a median price of $1.1M. Newington has little in the way of amenities and limited public transport. The house below recently sold for $4.25M. 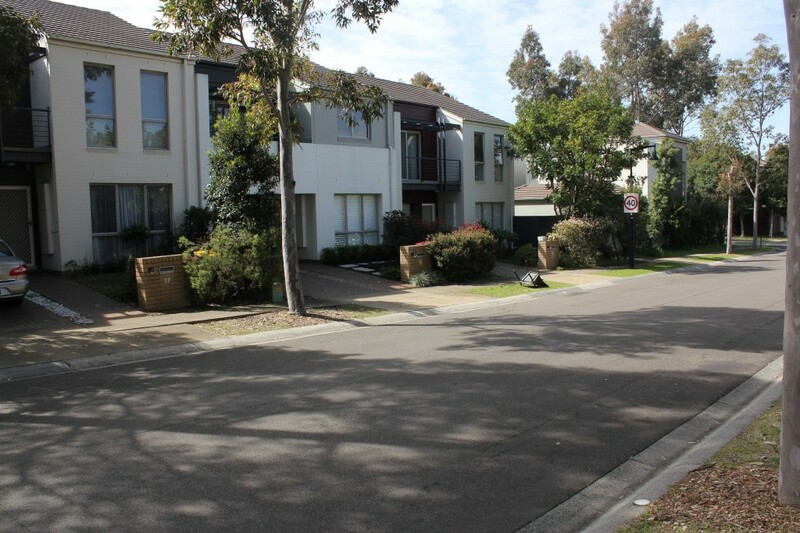 It is 15 kilometres from the CBD in an average, middle class suburb, as can be seen by the adjoining houses. Houses on, or near, the waterfront, whether the harbour or beaches, are another price point altogether. A waterfront house in an average suburb can cost upwards of $10M. The most exclusive parts of Sydney are suburbs such as Mosman (median $2.7M) and Vaucluse (median $3.6M). The top suburb is Point Piper, with a median house price of $10M. Apartments are almost as expensive as houses. Anything less than $1.0m in a good location will be small, with one or possibly two bedrooms. But the number of apartment buildings under construction in Sydney is astounding. 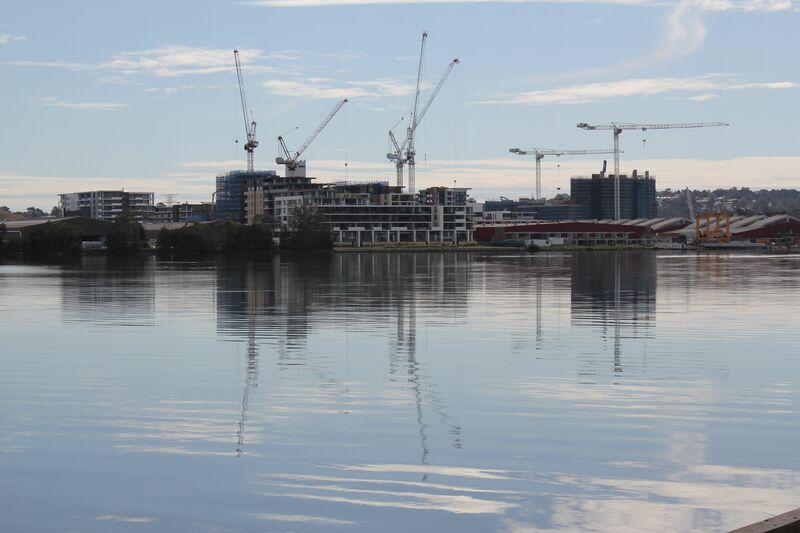 The scene below shows six buildings under construction at Wentworth Point. It is an ex-industrial site located on the Parramatta River, 21 kilometres from the CBD. There are about another 20 buildings planned for the area. There are many, many similar developments across Sydney. They are often ex-industrial or commercial areas and many have limited public amenities. The Australian economy grew an adjusted 0.2% for the June quarter. Mining and construction were down, as were exports. Terms of trade decreased by 3.4%. Housing is one of the few bright spots in the economy. In fact, tax on house sales is a big source of State government income. In Sydney, government tax on a $1.0m house is $40,000; $90,000 on $2.0M. “The ‘Mother’ of all corrections”. Not only in Australia, but the Canadian housing market is a virtual mirror of the Australian residential real estate sector. Along with the massive real estate bubble in China, (that was fueled by malinvestment), creating complete empty cities! The UK is not far behind blowing up their huge property bubble to even greater heights. The US is “lucky” in one aspect and that is their housing bubble was allowed to partially deflate post 2008. Key word is “partially” since the Fed backed by the Wall street crooks have reblown the US property bubble. Yes houses In Sydney are selling for ridiculous prices but convert these figures to Us dollars or Yuan and prices haven’t moved over 12 months. For an expat coming in from the states I would say they even see sense in grabbing real estate and then waiting for the Oz dollar will recover. One day it will fall on its head but perhaps not while interest rates are at 4.5 per cent. will have left Aus by if I recall 2016. BTW; For a few years, auto production in Canada exceeded US- largely by US subsidiaries but the production was in Canada. Magna, the Canuck parts outfit continues to move upstream towards whole chassis. The fundamental difference between the two is location. Both are commodity power houses but Canada shares a border with the world’s largest market. It has its ups and downs but I think we’ll see China’s exceed any of them. Canada diversified? Well, I would guess 90% live off government and 10% do not so yes, diverse,LOL! 30+ million people, how many in auto industry? 50,000 maybe…. soon to be replaced by robots. well i live here and don’t feel very “lucky” there is absolutely no hope of ever buying a home, my income simply can not keep up with home price increases……cause it never increases. many areas are back above what were considered obvious bubble price levels and incomes are down so, as I’ve stated before, real estate makes no sense to me. 10 years ago you could rent a 2/2 house here in sunny social for 1500/month. that house 3000 now and a room in a house is 1500! “Change you can believe” Enjoy if you voted for it! In my neck of Oz (Perth) there’s been an ominous silence for a month now as new For Sale listings have almost completely stopped. Total current listings in volume however are up 40% YoY as homes put on the market 3+ months ago fail to sell. I can only think that the reason for no new listings is people’s fantasy sale price is being smacked down by the realtor who is telling them an unpleasant number. These potential sellers ride off in a huff and decide to rather wait (in vain) for a time when the price is better. Little do they know the prices are sliding ever lower and will continue to do so for the foreseeable future. No one’s got a job good enough recently to allow the $1Million mortgage required. 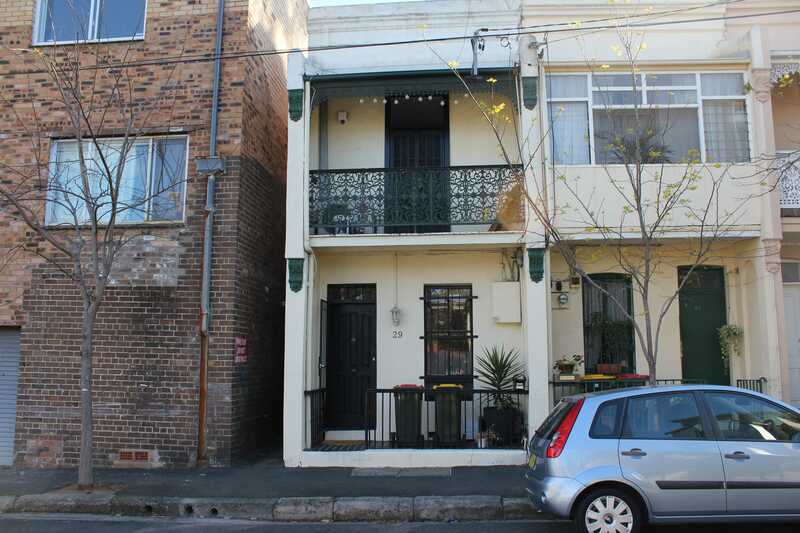 $1,2M Australian for a terrace houses in Newtown only 4 km from CBD doesn’t sound that bad. The bars across the ground floor windows tells me that there’s probably quite a lot of non-middle class type of folk around though. I avoid areas where there’s satellite dishes from every balcony; Bars across the windows has never come up, but I think that if it did, I’d consider that a deal-breaker as well. There is only one solution and that is to ban any home price higher than one dollar for next ten thousand years for existing homes and cap new home prices at equal to or less than 6,000 man hours times the rate of pay of the buyer based on one income. home ownership should be for citizens of the nation only. Real estate price inflation is a crime against humanity and must be severely dealt with.